Situated in Minneapolis, this romantic vacation home is 1.2 mi (1.9 km) from Museum of Russian Art and 2.8 mi (4.5 km) from Minnehaha Park. Mall of America and Nickelodeon Universe are also within 6 mi (10 km). 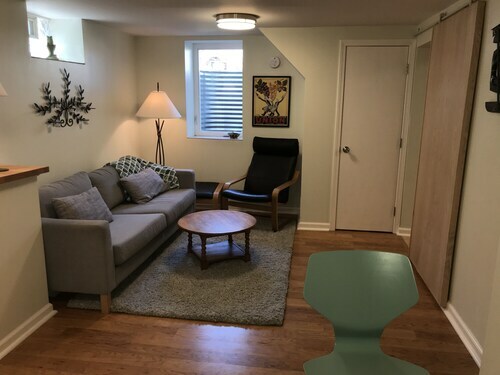 New: Cute & Cozy 2 Bedroom Cottage Home IN Heart OF THE City! Situated in Minneapolis, this vacation home is 2.4 mi (3.9 km) from Minnehaha Park and 2.4 mi (3.9 km) from Museum of Russian Art. Mall of America and Nickelodeon Universe are also within 6 mi (10 km). 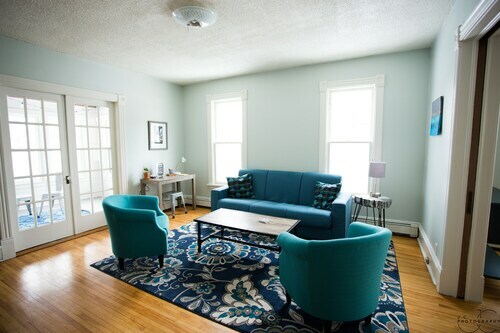 Located in the heart of Minneapolis, this historic vacation home is 1.5 mi (2.5 km) from Minnehaha Park and 3 mi (4.8 km) from Museum of Russian Art. U.S. Bank Stadium and Mall of America are also within 6 mi (10 km). 50th Street Minnehaha Station is 22 minutes by foot and 46th Street Station is 24 minutes. Situated in Minneapolis, this vacation home is 1.8 mi (3 km) from Minnehaha Park and 2.7 mi (4.4 km) from Museum of Russian Art. Mall of America and Nickelodeon Universe are also within 6 mi (10 km). VA Medical Center Station is 27 minutes by foot and 50th Street Minnehaha Station is 28 minutes. This family-friendly Minneapolis vacation home is within 3 mi (5 km) of Museum of Russian Art, Chain of Lakes, and Minnehaha Park. Lyndale Park and Abbott Northwestern Hospital are also within 3 mi (5 km). Lake Nokomis Charm - Mall of America, Downtown Minneapolis, Restaurants & More! 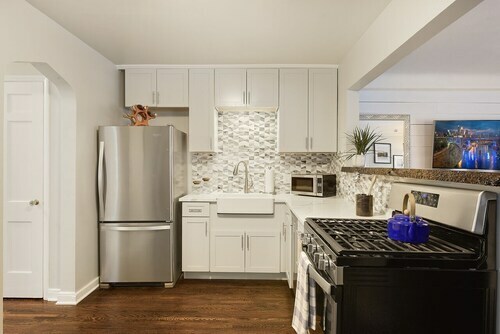 Situated in Minneapolis, this historic vacation home is 1.2 mi (2 km) from Minnehaha Park and within 6 mi (10 km) of U.S. Bank Stadium and Mall of America. Nickelodeon Universe and University of Minnesota-Minneapolis are also within 6 mi (10 km). 50th Street Minnehaha Station is 16 minutes by foot and 46th Street Station is 18 minutes. Situated in Minneapolis, this vacation home is within 3 mi (5 km) of Museum of Russian Art, Chain of Lakes, and Lyndale Park. Abbott Northwestern Hospital and American Swedish Institute are also within 3 mi (5 km). Situated in Minneapolis, this historic vacation home is within 3 mi (5 km) of Museum of Russian Art, Chain of Lakes, and Lyndale Park. Abbott Northwestern Hospital and American Swedish Institute are also within 3 mi (5 km). Situated in Minneapolis, this vacation home is 0.7 mi (1.1 km) from Minnehaha Park and 2.9 mi (4.7 km) from University of St. Thomas. U.S. Bank Stadium and University of Minnesota-Minneapolis are also within 6 mi (10 km). 46th Street Station is only a 3-minute walk and 50th Street Minnehaha Station is 14 minutes. Dust off your walking shoes and delight in the views around you at Lake Nokomis, a great place to spend the day outdoors with your travel buddies. It is just one of the many things to see and do in the wonderful city of Minneapolis - St. Paul. We won't say you'll be overwhelmed with choice when it comes to hunting down hotels close to Lake Nokomis, but you still have 81 options within 6 miles (10 kilometers) that you'll be able to pick from. The Hotel Ivy, a Luxury Collection Hotel, Minneapolis and Residence Inn By Marriott Minneapolis Downtown ought to give you some, if not all, of the comforts you desire. The area's low-cost hotels boast a great standard of service and rates which are affordable. You might like to reserve a room at the Days Inn Hotel on University and the University Inn. Just a short drive away, you''ll come across a few high-end hotels to enjoy. The Loews Minneapolis Hotel and The Westin Edina Galleria are solid choices that you should consider. Is your camera full but your stomach empty? You can follow the distinctive smell of coffee 0.5 miles (0.8 kilometers) and indulge in a cup or two at Nokomis Beach Coffee (4956 South 28th Avenue, Minneapolis). As the sun starts to set, you'll no doubt start to crave some dinner. If you don't want to go too far away, Lake Nokomis Community Center (4955 West Lake Nokomis Parkway, Minneapolis) is a great choice. Hiawatha Golf Course is the perfect place to spend a day out on the green and socialize. Buy tickets to attend a play and travel to a more imaginative world at Parkway Theater. If you are eager to explore aspects of the local history, enjoy a tour of John H Stevens House Museum, a well-known historic residence. Each piece of artwork in a museum has an interesting past. At Museum of Russian Art, you can check out a range of exhibits, stop for a closer look and discover their stories. All aboard! Enjoy a memorable excursion into history at Hennepin Overland Railway Historical Society. How Much is a Hotel Room in Lake Nokomis? Hotels in Lake Nokomis start at $119 per night. Prices and availability subject to change. Additional terms may apply. 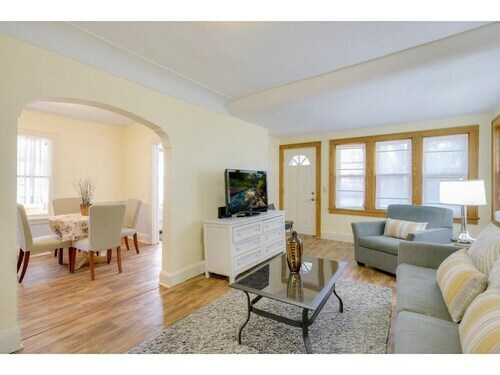 Cozy 3 Bed/1 Bath Duplex in South Minneapolis - Sleeps 12!